April’s pulp story comes from the December 1940 issue of Action Stories. The author is John Starr which was a house pseudonym used by Fiction House from about 1933 to 1953. Action Stories was a general “adventure” type of pulp magazine that featured mostly westerns and stories set in exotic locales. Not as big or famous as Blue Book or Adventure it nonetheless was published for 29 years with 225 issues (a monthly for the first ten years but later a bi-monthly and then quarterly). Looking over some of the content listed for this magazine during the late 1930’s I find dozens of stories featuring the term “Legion” used in ways that clearly indicate a Foreign Legion tale. 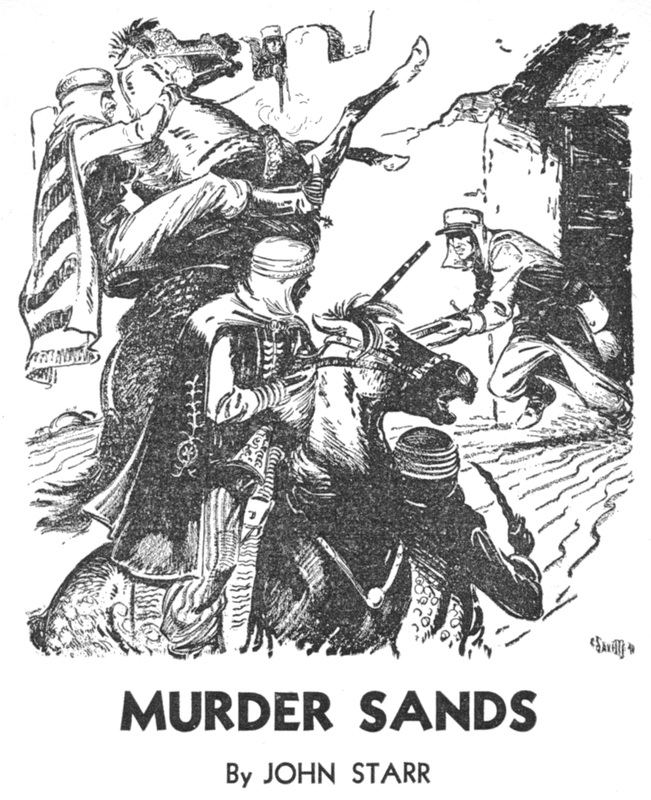 Murder Sands is only six pages but with a nice twist at the end that makes me think the real author was Theodore Roscoe (but I would be guessing).